Welcome to 112 West Pointe Manor. 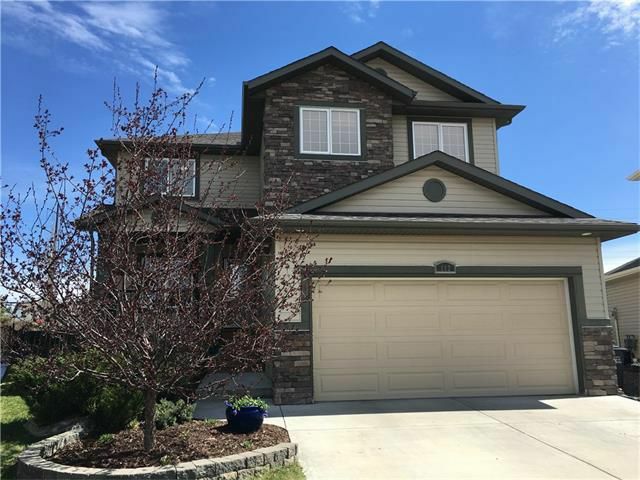 A perfect location for families - nestled at the end of a cul-de-sac, backing onto a green belt, with the Bow River and bike/walking path just a few steps away. Schools are within walking distance, and this spacious Kingsmith-built home is situated on a large pie lot! If you're looking for elbow room, you've found it! Step inside, and experience the open feel of this floor plan. A large, functional island kitchen offers granite counters, walk-thru pantry & SS appliances, a roomy dining nook, and adjacent family rm w/ fireplace. 9' ceilings & site finished hardwood floors throughout the main. Rounding out this floor is a handy den, 2 pce bath and convenient laundry/mud rm. Upstairs are 3 generous bedrms, a bonus room with big windows and great views. The master suite boasts a huge walkin closet & 5 pc. ensuite. 2 additional roomy bedrms & a 4 pce bath complete this level. A ready-to-develop basement welcomes your ideas, and offers high ceilings & a bath r/i. See it today!